The 2-year full time PGDM students of IIM Vishakhapatnam collected the diplomas from the institute. In all 47 students received the degrees and 3 gold medals were awarded. 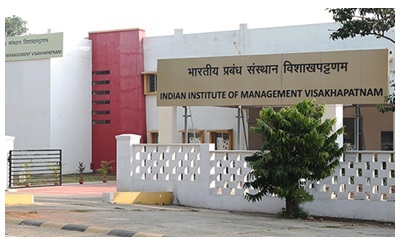 IIM Vigaz held first convocation for 2-year full time PGDM programme students. The institute held the ceremony in the campus itself and the event ended on a festive and celebratory note. The toppers received gold medals from Board of Governors’ Chairman and Jubilant Bhartia Group founder Hari S. Bhartia. A total of 47 students were honoured with Post Graduate Programme in Management (PGP) at the ceremony in the city. In the ceremony, 5 students were awarded diplomas in absentia. Abhishek Goel received the gold medal for First Rank in Academic Performance. Ganapathi Subramanian V secured the gold medal for Second Rank in Academic Performance as well as the gold medal for Best All Round Performance. Subscribe with us to receive latest updates about the top MBA institutes of India.